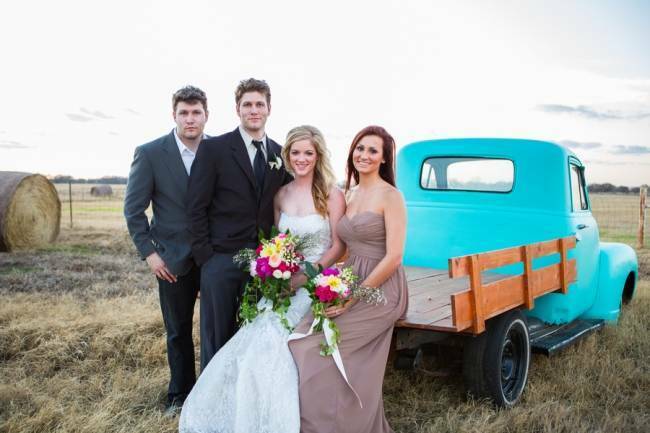 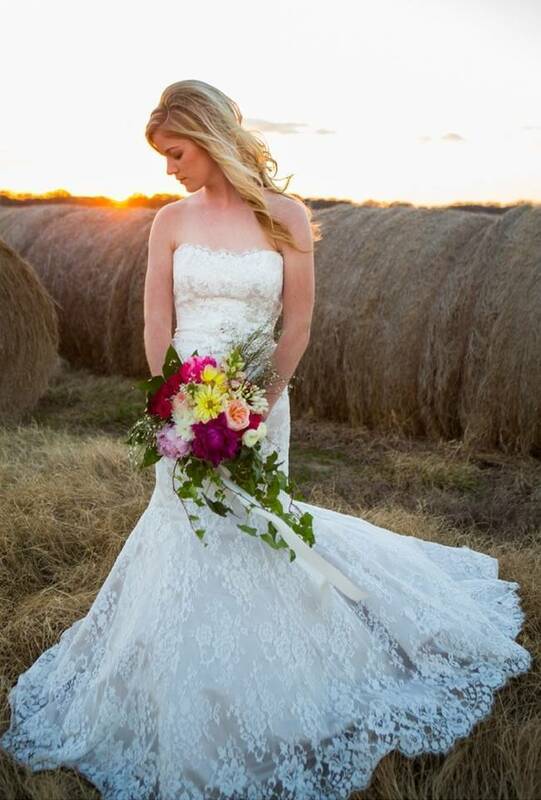 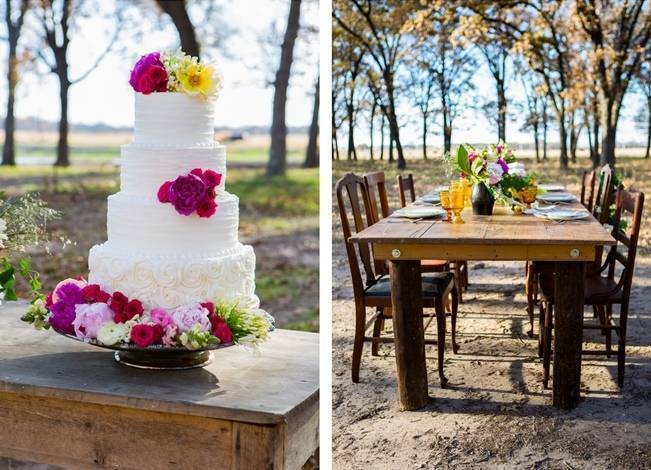 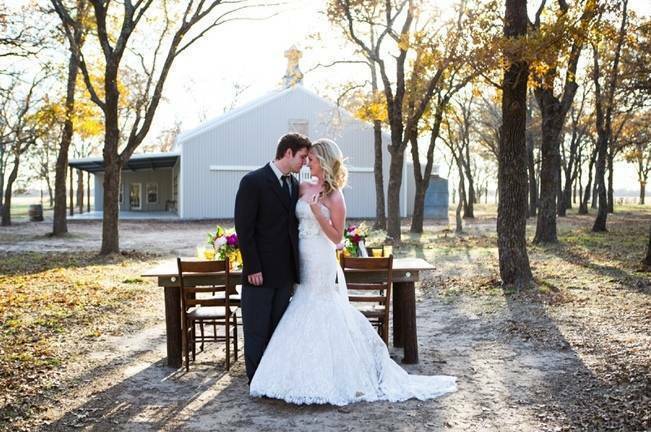 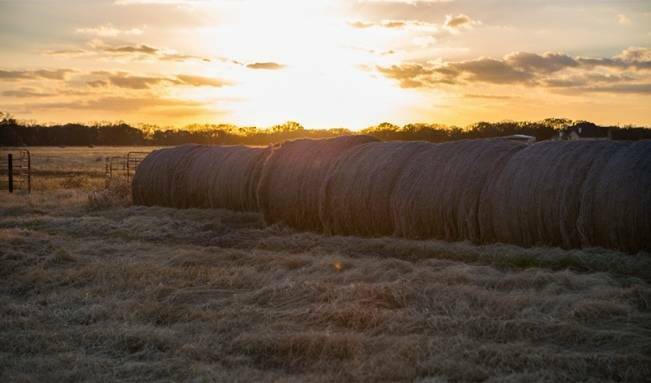 The glow of near-dusk illuminates this styled shoot at Vintage Oaks Ranch in Axtell, Texas. 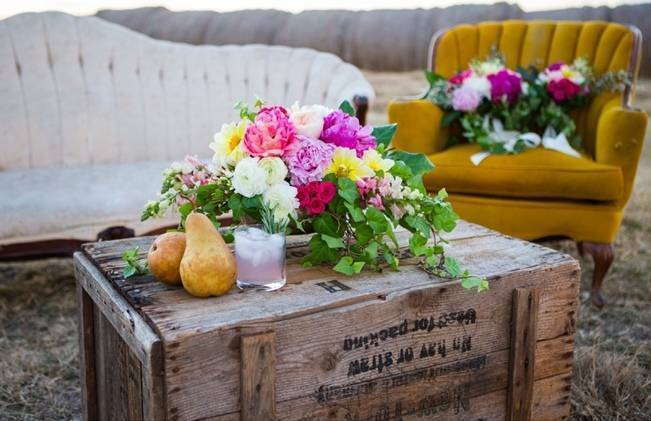 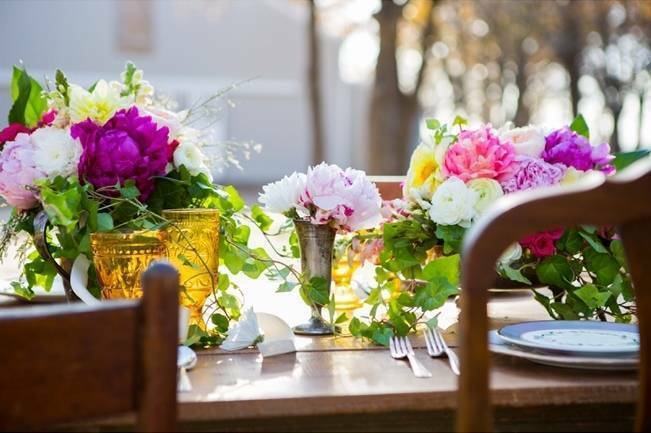 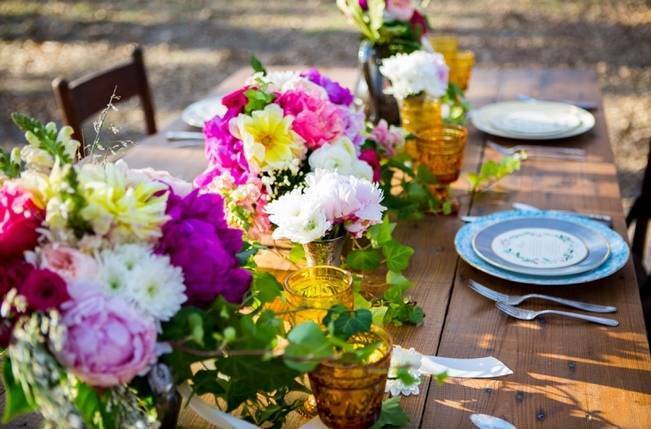 The beautiful light shines through colorful yellow and fuchsia petals, vintage amber goblets, and the grove of oak trees on the 130 acre ranch. 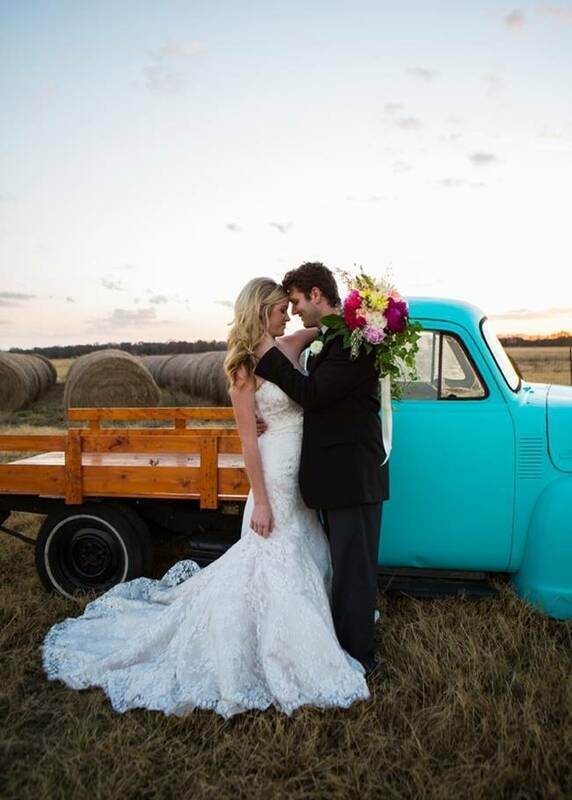 A blue vintage truck, delicate lace gown, mismatched china place settings, silver tea pots, and vintage furniture perfectly rounded out the rustic elegance of the barn venue and golden fields. 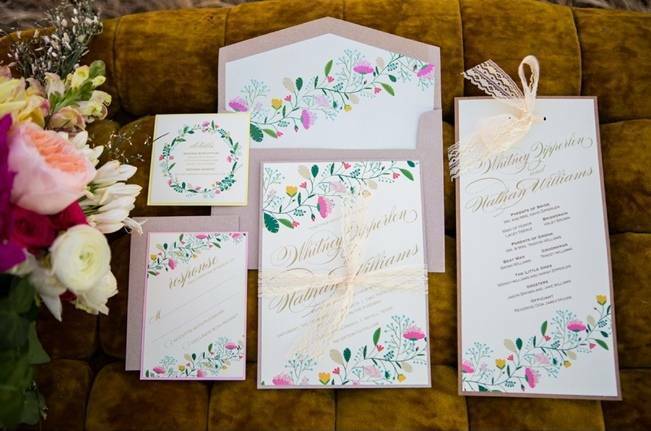 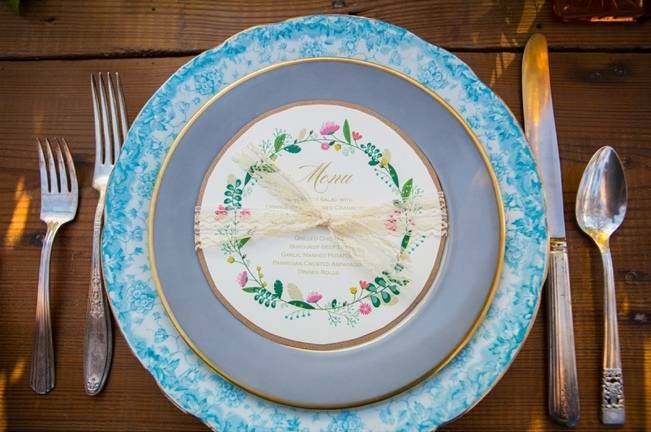 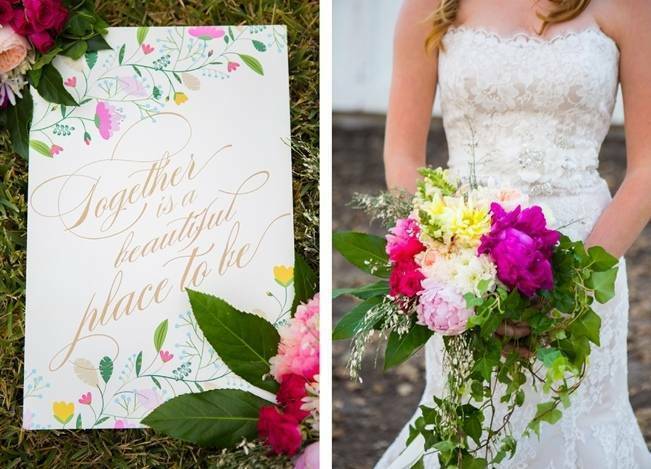 We love the colorful floral stationery which perfectly matches the summery floral design. 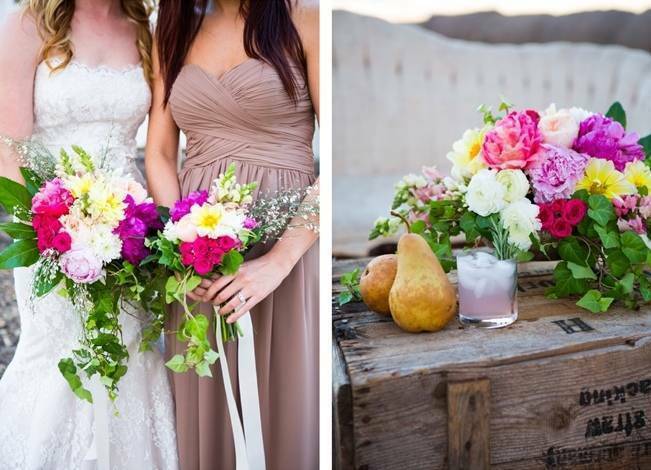 The signature cocktail is a watermelon habanero punch mixed with vodka. 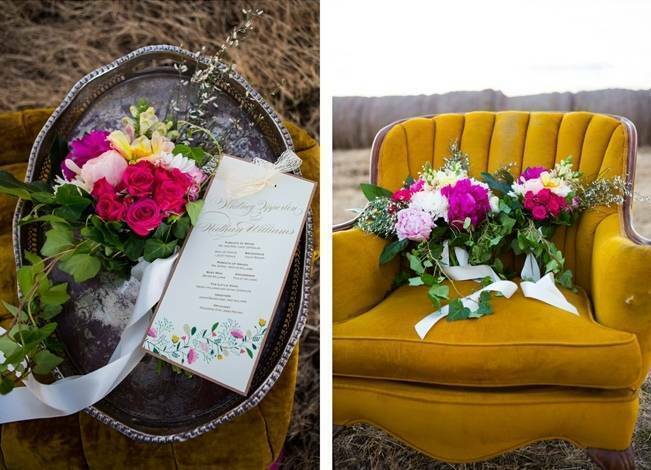 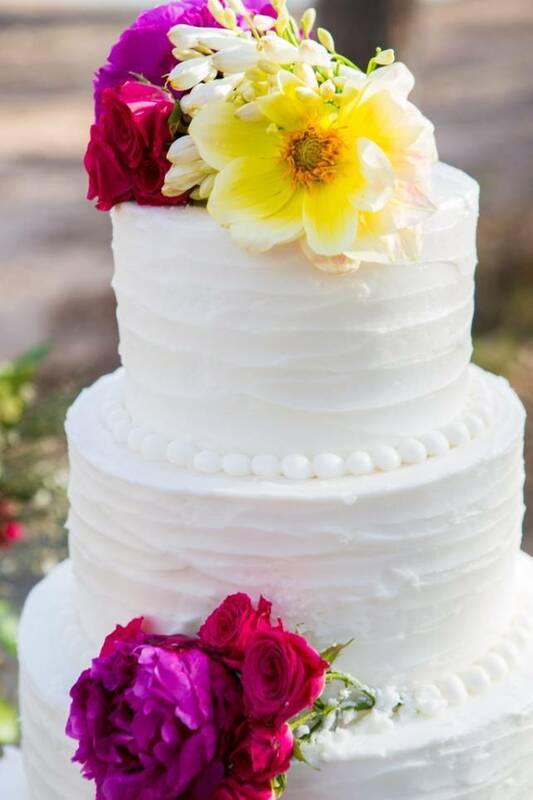 Cheers Shelly Taylor Photography for sharing such fun inspiration!